Please Note: A PayPal account is NOT required to use our online ordering system! Call (800) 920-8118 to order by Telephone. Checks Accepted. 2. 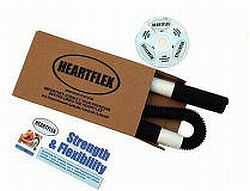 35 HeartFlex muscle strengthening movements. surgery preparation and post surgical recovery. John Corbin, President, HeartFlex, Inc.